We have been working with the Whitechapel Gallery, Goldsmith College and TINAG to put together a one day Symposiym entitled Architectures of Spectacle. What is at stake culturally, socially and physically in the staging of a modern Olympic Games? 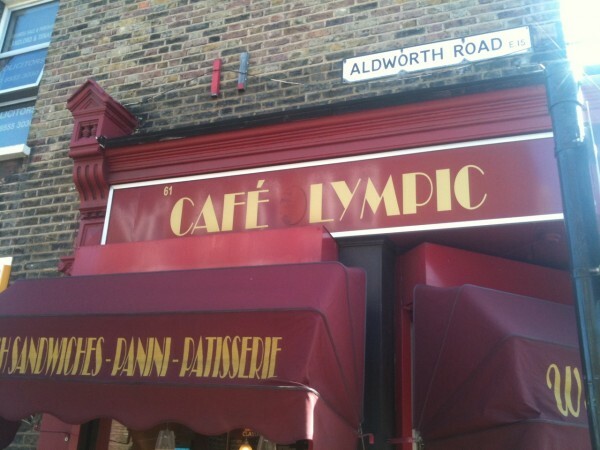 What does it mean for east London beyond the Games? On the day that marks seven years since London won the bid to host the 2012 Olympics, architects, artists, sociologists and urban theorists consider the transformation of an area into a centre of global attention. In association with the Centre for Urban and Community Research, Goldsmiths, University of London, public works and This is Not a Gateway. public works in collaboration with Jonathan Karkut (cultural tourism) and Julie Scott (Anthropologist) from London Metropolitan university undertook the project 'High Tea' in Vake Park underpass in Tbilisi-Georgia. We engaged with local retailers and residents using postcards we created about underpass stories in London. 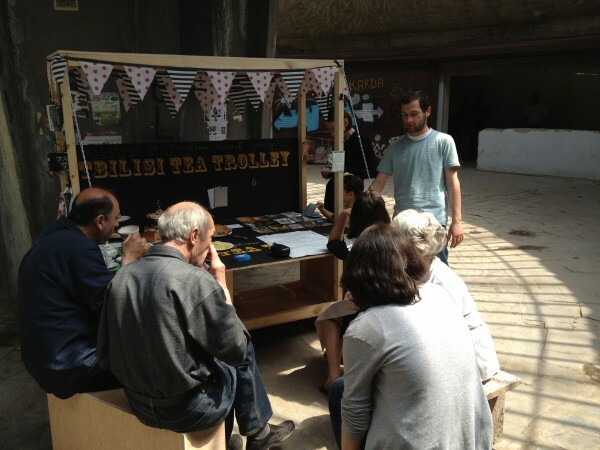 We hosted a platform for discussion through a tea trolly where we offered tea and cakes and made instant postcards of the tales of the underpasses we were told in Tbilisi. The [Spaces] project looks at the recovery of public spaces for art, culture and urban residents is the core topic in spaces. the projects activities take place in Armenia, Georgia, Moldova and Ukraine where local artists and curators offer strong potential and represent the dynamic of change in the art world.The artists and curators put on participatory art projects that reveal conditions and differences in the ex soviet public realm.